Ngursarnadan is located in the Ohoililir village, 18 km from Langgur, Southeast Maluku with estimated times during 18 minutes by using ground vehicles. It has a beautiful view and there are beautiful coral for air-snorkeling. This beach has two Guest Houses for visitors to stay longer at this place. At the top of the beach there is an altitude spot with the view that facing to the ocean, with stunning scenery and beautiful panorama. From this beach you can walk along the beach to the neighboring beach, Ngurbloat. This beach has very fine white sand, just like you walk into the velvet rug. 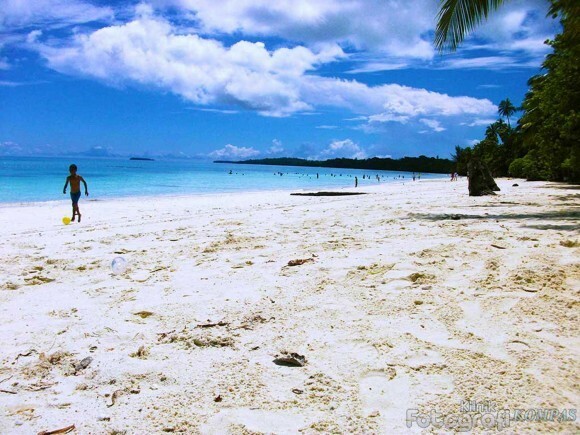 Having sunbathing along this white sand will be your greatest experience to have. The very refreshing breezy air in the middle of tropical beach is the thing that you want to have to pamper you in your holiday. Do not forget to bring your sunblock and keep honor the nature while having vacation.